Why Do You Have Choking from Acid Reflux? Gastroesophageal reflux disease (GERD), also called severe acid reflux is a disturbing condition that worsens at night. A study published in 2013 indicated that nighttime acid reflux choking affects 75 percent of people who have acid reflux. The disease is distressing, leads to poor sleep which affects the ability to function properly during the day. The most outstanding symptom of nighttime GERD is waking up with a choking cough that disrupts your sleep. But, how does this happen? There is a relationship between nighttime choking and acid reflux. This occurs as a result of failure or weakening of the muscles forming a seal between the stomach and the esophagus so that it no longer works properly. When you are sleeping in a horizontal position, the alignment of the esophagus is such that the acidic digestive juices can move through the esophagus into the throat. This reflux causes irritation of the esophagus and throat which leads to coughing and choking. It may also be accompanied by regurgitation so that the stomach contents escape into the mouth. The coughing and choking may also be a reflex caused by irritation of the esophagus and throat. This position seems to help reduce nighttime acid reflux choking, according to some internal medicine specialists. Heartburn seems to get worse as you gain weight. Experts say that losing as little as two to three pounds can help reduce choking. Place the headboard on 4 to 6-inch blocks. Use a 6-10 inch wedge-shaped pillow under your upper body. A regular pillow only elevates your head. Tight-fitting clothes around the waist push against stomach which can lead to acid reflux. Choose loose-fitting clothes instead. These foods are different from one person to the other but include caffeinated drinks such as coffee, tea, colas and cocoa; garlic, onions, alcohol, milk, greasy, spicy and fried foods; and acidic foods such tomato and citrus. To find out the foods that cause your choking, maintain a food diary for about one month; then use this information in order to avoid the culprit foods. Keep away from late night meals and big meals 2-3 hours before going to bed. This way you will give your stomach enough time for digestion before bedtime and therefore reduce your risk of acid reflux choking. Large meals fill your stomach and increase pressure which can lead to flow of stomach contents into your esophagus. Opt for small meals at night and try to eat at least 3-4 hours before going to bed. If you are stressed when eating, you will tend to rush through the meal which will stimulate your stomach to release excess acid. Also try to relax after the meal, but avoid lying down. You can achieve this by using relaxation techniques such as meditation and deep breathing. Being upright helps keep your stomach contents in the stomach, which reduces the risk of acid reflux. Wait for at least a couple of hours before exercising to allow at least some of the food to leave the stomach. The chewing action stimulates saliva production which soothes the esophagus and washes the acid back into the stomach. Cigarette smoke irritates the gut besides relaxing esophageal muscles. This causes stomach acid to pass through into the esophagus. Some medications including NSAIDs, some antidepressants, some heart and hypertension medications, some osteoporosis drugs, some asthma drugs and some hormone medications can cause acid reflux in different people. In case you suffer from acid reflux symptoms and your sleep is disrupted by choking or coughing, it is possible that you have serious GERD. The condition requires treatment to avoid complications. Most cases of GERD are treated with acid-blocking medications known as proton pump inhibitors (PPIs). PPIs help reduce acid reflux symptoms so that the esophagus can heal. Additionally, you should consider the above lifestyle changes. Note also that nighttime choking or coughing may be indicative of another medical condition. In case you get nighttime coughing or choking in addition to difficulty in swallowing, chest pain and hoarseness, you need to visit a doctor to undergo evaluation. Besides GERD, nighttime choking and coughing may be caused by other conditions such as obstructive sleep apnea in which breathing stops temporarily during sleep due to blockage of the airways. This can lead to choking when breathing resumes. Asthma, allergies as well as saliva and mucus can also cause choking as can excess coughing which leads to regurgitating of stomach contents. 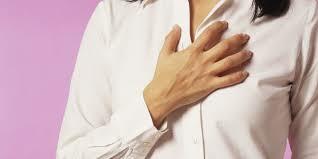 Other causes of acid reflux symptoms include heart failure due to build up of fluid in the lungs. Because nighttime choking can be caused by so many conditions, you need to see a doctor for evaluation instead of starting self-treatment for GERD. Is Your Green Tea Really Acidic? What Causes Heartburn and Difficulty Swallowing? What Causes Abdominal Pain and Cloudy Urine?